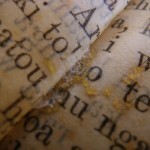 The Tairawhiti Museum is a regional museum with a sizable collection of Fine Arts, ceramics, social history objects, photographic and documentary archives the majority of which were donated by the inhabitants of the Poverty Bay region. 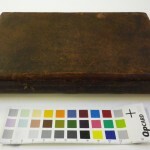 During the process of moving and the re-housing, the Museum staff identified the necessity of undertaking conservation treatment on one of their most iconic and highly significant objects. 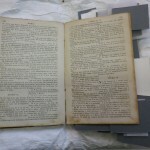 The Bible or Pukapuka o te Kawenata Hou, New Testament, was published and printed in London in 1852, the text written in Te Reo Maori. 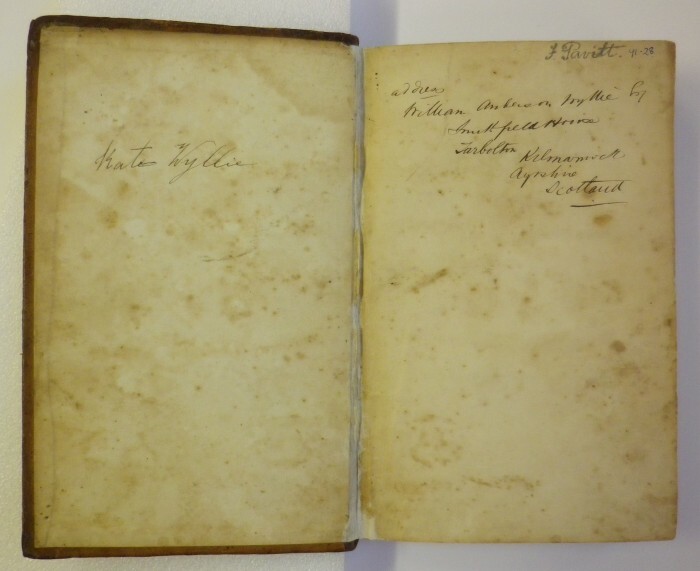 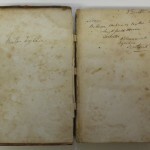 This rare book traveled to New Zealand in the possession of James Ralston Wyllie. 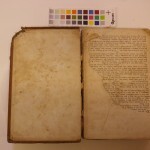 The document shows a clear line of descent through the Wyllie family, from early origins in Scotland, through three generations to Gisborne, New Zealand. 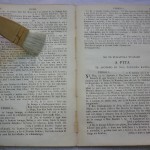 It is an example of the meeting of two cultures and the spread of Christianity through translated texts. 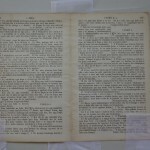 The bible is a rare and unique item of cultural significance positioned to tell the story of Kate Wyllie and her family, which is of high significance in the history of Turanganui and Gisborne. 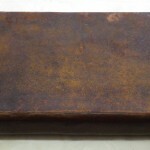 The Bible is an in-cuarto menor printed on Western paper and bound in a full-leather binding. 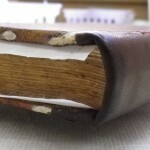 The condition of the document is poor as its manipulation is delicate. 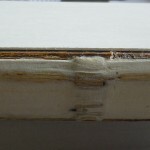 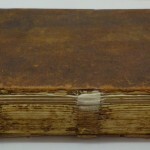 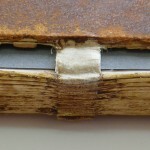 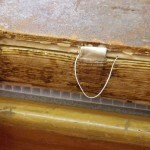 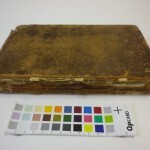 Indeed, the spine is missing at 80% and the inferior board is un-attached to the text block because of two sewing bands that are broken in the joint. 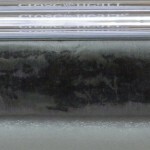 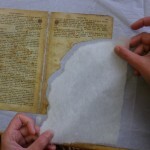 This lead to the damage of the three last sections of the text block which became unstitched to the text block by the time. 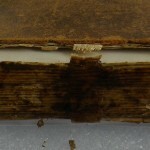 Except this structural damage, the paper is in fair condition, only weakened on the edges by some small tears and folds. 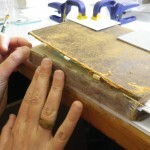 The conservation process took place at the Museum, where the staff welcomed me and arranged their premises in order to set up a conservation studio. 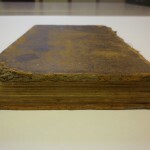 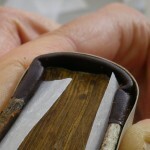 The main challenge of the conservation treatment was to re-attach the inferior board to the spine by repairing and re-fixing the two broken sewing bands. 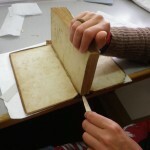 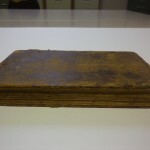 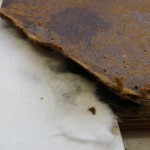 This also required the repair the three last sections of the text block which were also unstitched and the inner joints of the end leaves on both sides of the cover.